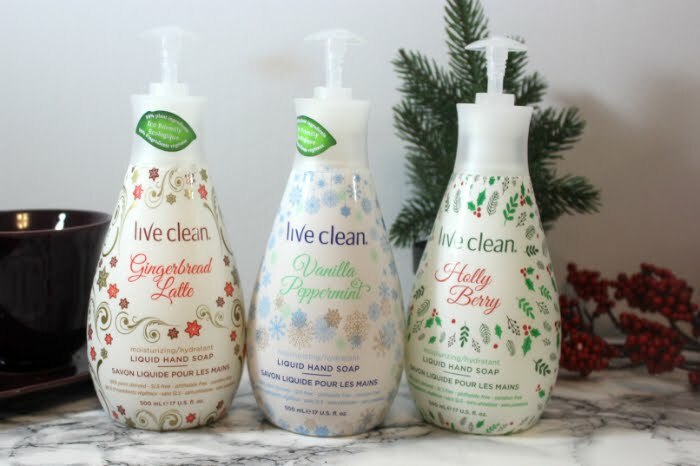 Live Clean has launched a collection of their Moisturizing Liquid Hand Soaps just for the holiday season. 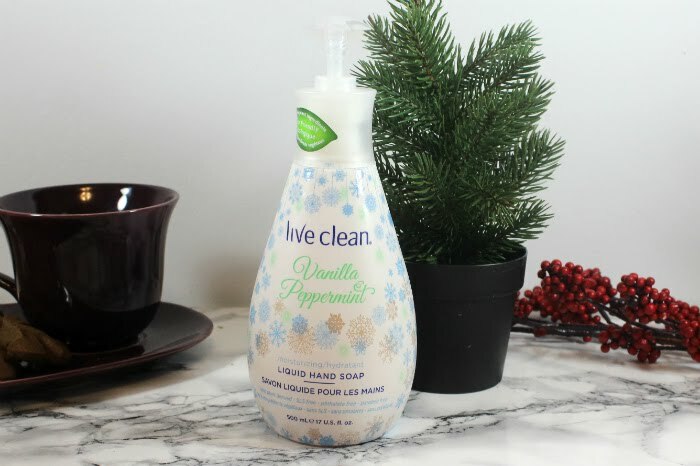 With three festive scents, these hand soaps are moisturizing and gentle on hands all while smelling amazing. They also have some pretty cute but not over the top holiday designs on them. I have been joking all fall that Pumpkin Spice season is just warm up for Gingerbread season. I adore Gingerbread and well Gingerbread lattes are a must this time of year. 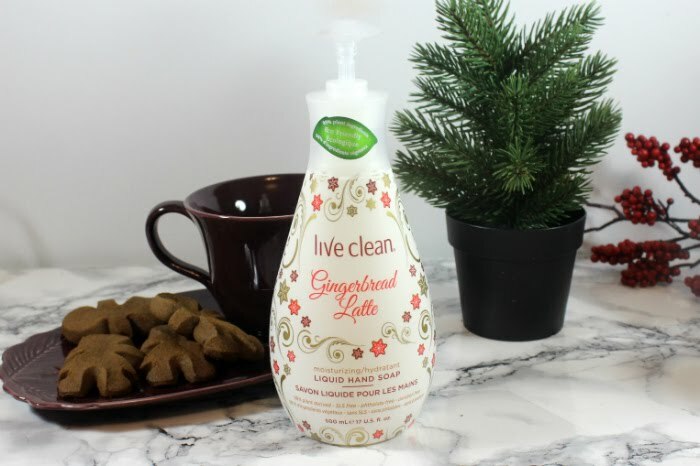 This soap smells just like fresh gingerbread cookies, but with a touch of warmth to it, and it is incredibly potent. I was really shocked at how much fragrance it had. I put this one in my master washroom, and am happy to use it many times every day. While the design on it is full of holly and pine, it is distinctly fruity, which I really should have expected with a name like Holly Berry. I like the scent a lot, it is a fruity scent that isn't too sweet and a bit like cranberries, it is very fresh. Since it is so fruity, I decided to put it in the kitchen for a bit of a pick me up when I am cooking. If candy canes are your thing then you may love this soap. I love everything mint, it is my absolute favourite scent all year long, so find it in a hand soap is a nice treat. It smells minty but with that warmth, you get from a kick of vanilla to it. It really makes for a great festive hand wash. I put this one in our powder room so all our guests can use it. All the soaps are nice and hydrating, none of them strip your hands of moisture. They also lather nicly and rinse easily. For about $4, they are a great way to add a bit of festive love to your house without going over the top. Do you have a favourite holiday scent? *Products were sent to me for review purposes; all views and opinions are my own.